While the PS3’s Blu-ray allows for huge games that have up to 50GB of data, the slow speed of the console’s drive means that many titles have to install parts of the game onto the harddrive simply to play. Another game to require a mandatory install will be Deus Ex: Human Revolution, so, if you’re planning to pick up the game, make sure you have some space free. 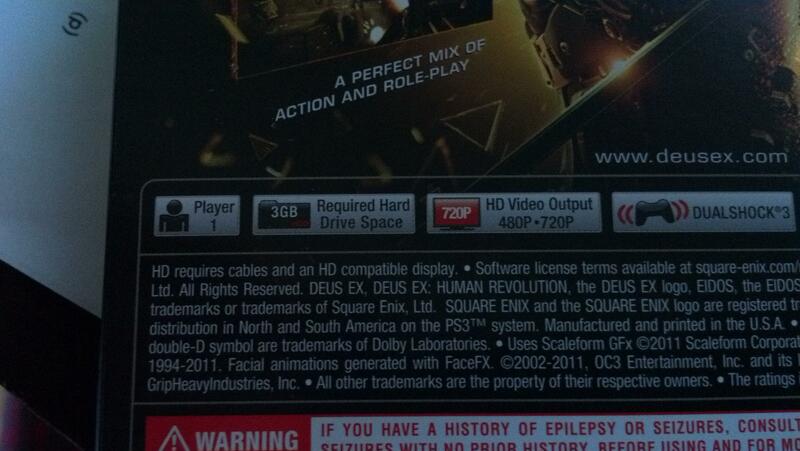 Deus Ex will take up 3GB of your PS3’s HDD, and the install is mandatory. Conversely, the 360 version will not require an install, and simply requires 66MB’s free. Do you think the benefits of Blu-ray outweigh the negatives? Let us know in the comments below.